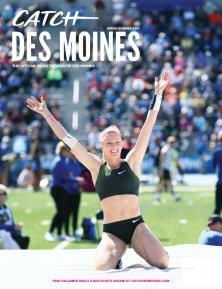 Catch an extensive list of Des Moines sports facilities, convention space and hotel space. Enjoy the size and first-class service of the Iowa Events Center, which features a 28,000 square-foot ballroom where many sporting events have taken place along with 150,000 square feet of flexible space and 32 meeting rooms. Scroll through our entire list of Des Moines sports facilities which includes a wide-range of fields, courts, lanes and more! Find unique venues for off-site events. Unsure of how much space you need? Use this space calculator. Or use this ready-to-print facilities grid to quickly compare sports venues by square footage. Then find the facility that fits your needs by utilizing our sports facility search tool. From Des Moines hotels to sports complexes, Greater Des Moines has the facility to meet your needs.